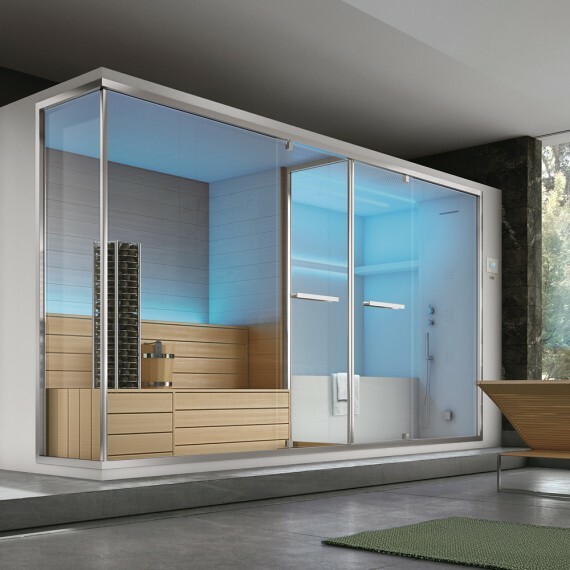 The brightness of the glass characterize this sauna. 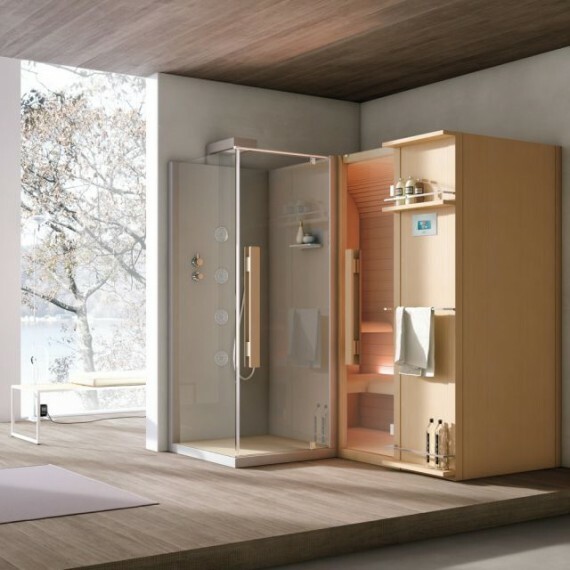 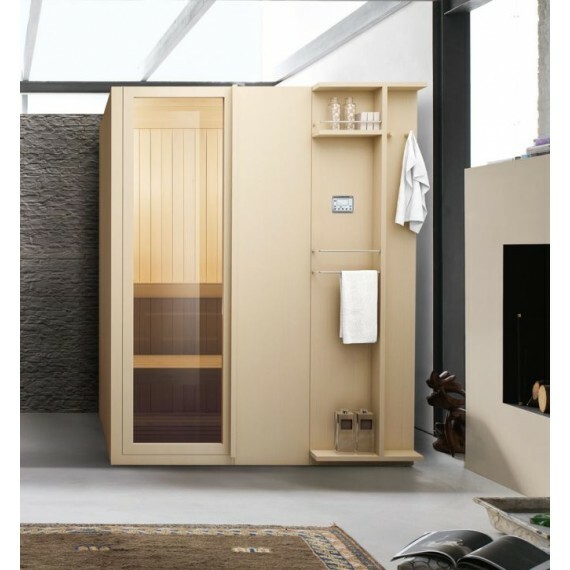 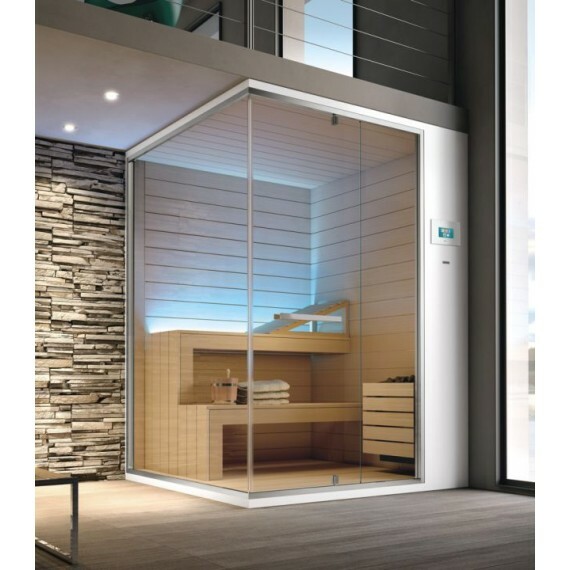 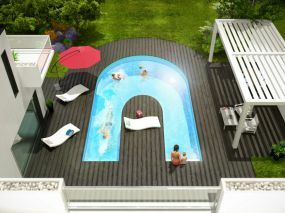 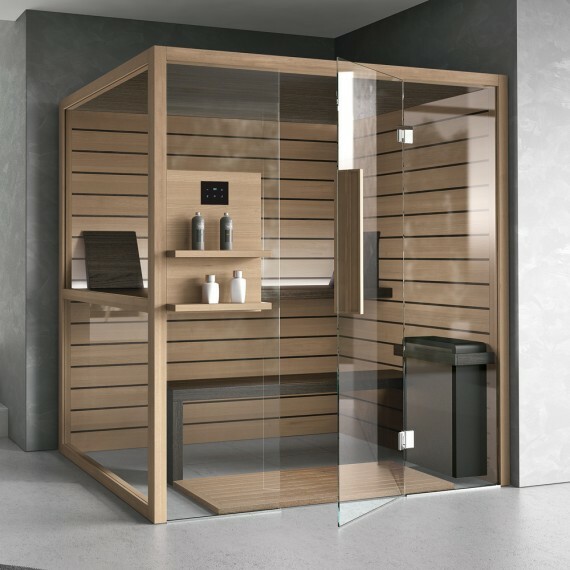 Sauna and shower can live together also in a little space. 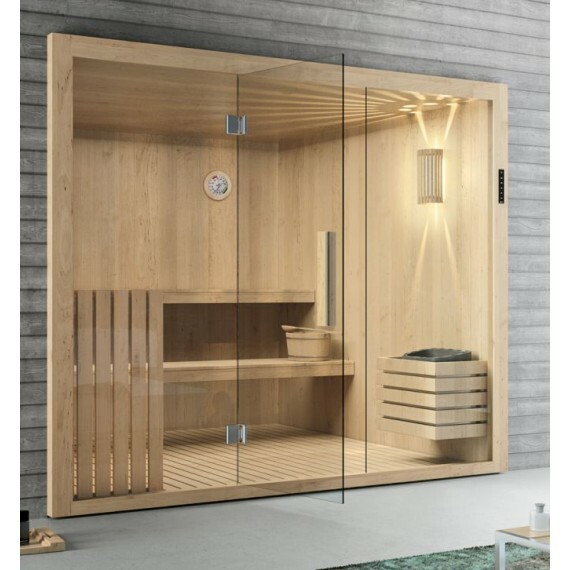 Take Nature inside your home with this fir sauna. 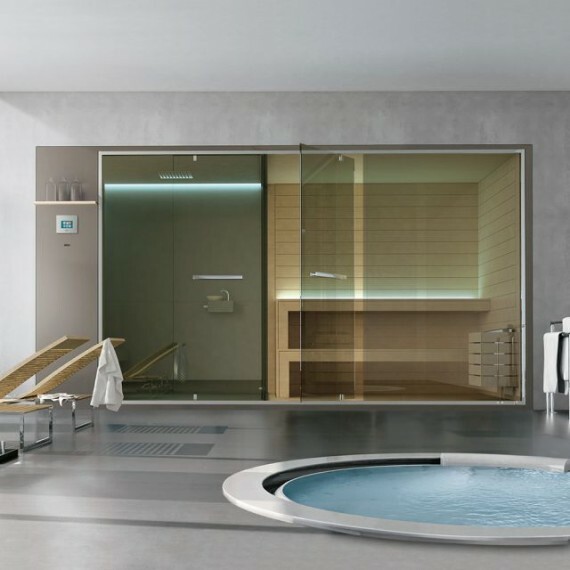 A tub set within the turkish bath: the new frontier of hydrotherapy that instils pleasant and authentic feelings of well being.